Presented by Francine Stock. Alison Janney discusses her role in real-life ice-skating drama I, Tonya, and Sally Potter talks about her latest film The Party. 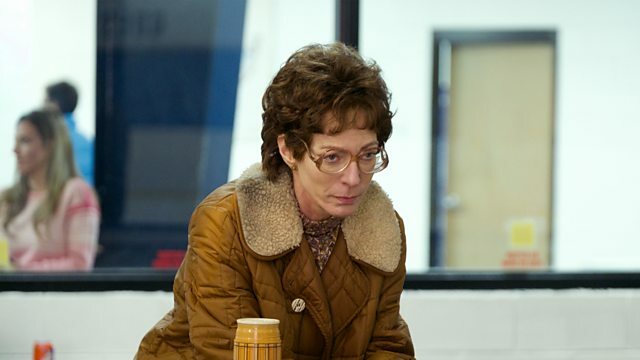 Alison Janney discusses her award winning role as Tonya Harding's mother in real-life ice-skating drama I, Tonya, and reveals why she's happy that she never met the real Mrs Harding. Sally Potter talks about her latest film The Party, as it's released for home entertainment, and explains why she thinks there are so few female film-makers in this country and what can be done about the situation. Tim Robey and Larushka Ivan-Zadeh present a beginner's guide to Greta Gerwig, as the actor's directorial debut Lady Bird is released in cinemas. In another edition of Pitch Battle, historian Tracy Borman makes the case for a bio-pic of Anne Of Denmark, the woman behind the Gunpowder Plot.